Hyperconverged infrastructure (HCI) is the best strategic option for meeting your organization’s demands for increased efficiency and agility while leveraging existing apps and data. HCI is a scale-out software-defined infrastructure that converges core data services on flash-accelerated, industry standard servers, delivering flexible and powerful building blocks under unified management. Put simply, HCI has the potential to revolutionise your security environment and increase efficiencies relating to application performance. 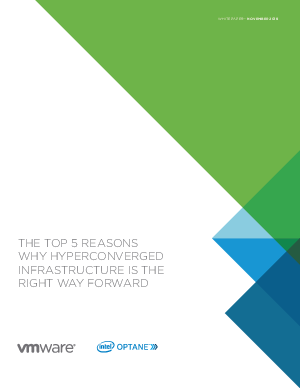 In this whitepaper, we break down the top 5 reasons why hyperconverged infrastructure is the right way forward for your organisation.